Just A Car Geek: 1980 Mercedes-Benz 280TE - The Nicest I've Seen - A "Dilemma Car"
1980 Mercedes-Benz 280TE - The Nicest I've Seen - A "Dilemma Car"
Wow. This is such a remarkable car. This is a 30 year old, 42,000 mile grey market 280TE. It looks like it just came off the showroom floor. 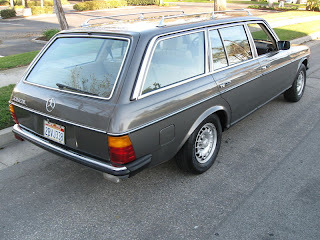 The Mercedes-Benz W123 (MB's internal designation for these cars) wagons that came to North America were diesels. They were workhorses. They ran forever. They weren't a lot of fun to drive. 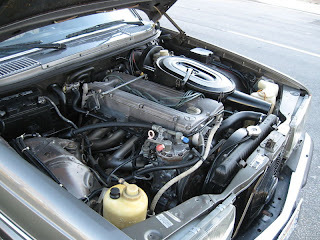 This car has a 2.8 liter gasoline powered DOHC I6. It puts out 185 HP, which is good enough to get this heavy, not especially aerodynamic car to 60 MPH in 10.5 seconds. While it doesn't have the natural longevity of the Mercedes diesel engine (few engines do), it is a durable engine and is much smoother and quieter than the diesel. This car is amazing to look at. The seller says the car was always kept in the garage and had little exposure to the sun. There's no reason to doubt that. Everything from the paint to the chrome to the interior looks perfect. What would you do if you bought this car? Would you use it as daily driver? Even at 31 years old, it performs as well as many modern cars. It's comfortable and reliable. It would be a great everyday car. Of course, that exposes it to door dings, shopping carts, road hazards and accidents. Or would you keep it tucked away? 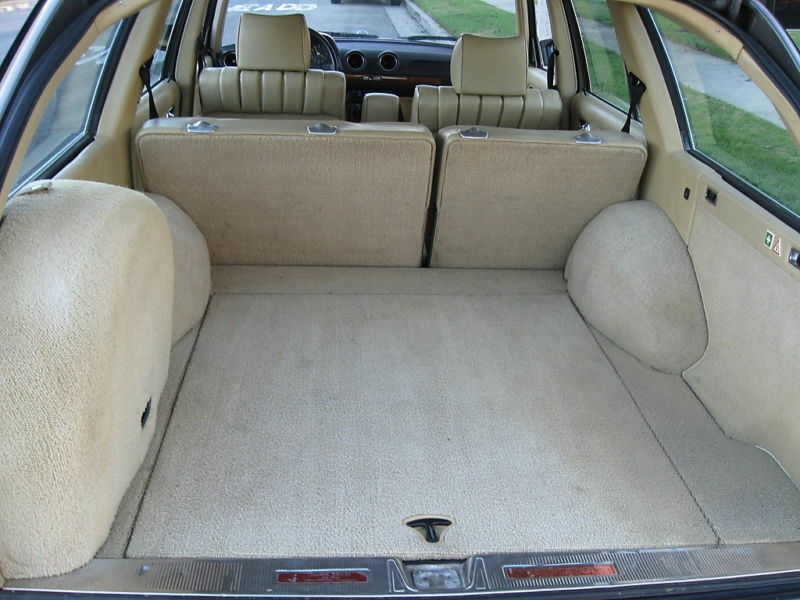 It would be a pristine time capsule that you could take to shows and the on the occasional weekend drive. I have no idea of what I'd do with this car. It's another one of those "dilemma cars". It looks like quite a few people do have a good idea of what they'd do with this car... With 3 days still left to go in the auction, it's been bid up to $7700.00 by 9 different bidders. Do want! Amazing, every Merc wagon I have looked at has been nowhere close to this one, its not even run in. If I had the money, I'd drive the thing everyday, even if I had nowhere to go. 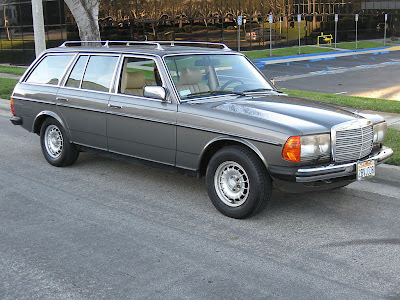 My childhood neighbor was an Orange County sheriffs deputy who moonlighted by importing grey market Mercs. On any given day, there would be 6 to 8 W123s (mostly sedans but a few coupes and wagons) in his driveway. As such, I'll always associate these cars with European headlights and mid-80s California "sun" license plates. I never really appreciated any of this as a kid. What a nice car. 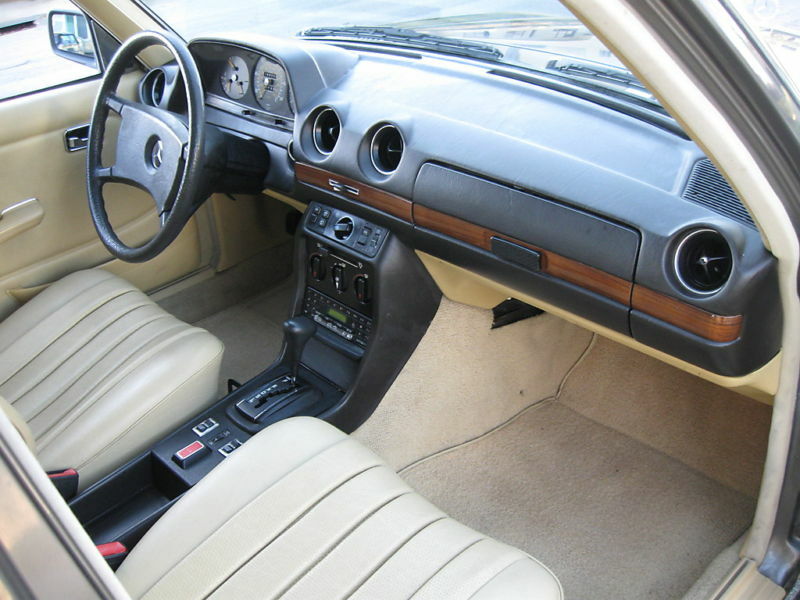 If it only would not have the stupid beige interior. Anything else would be fantastic, like blue, green or especially red like the BMW 3.0 S you are talking about. Oh, BTW it's not a 200 TE (there actually is such a thing) it's a 280 TE. Hansjorg - The title was a typo, which I just corrected. Thanks for pointing it out. I am not a huge M-B fan, but this is one of the best dual purpose cars ever built. 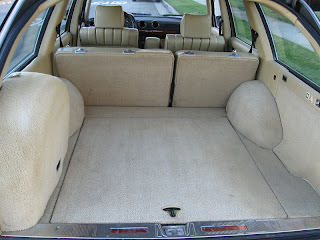 The closest Benz ever got to the Volvo RWD wagon, but better! My 240 is safe, this is already way over my price point. All of these around here are rust-outs now. There were a few gas cars until then. German cars are always big sellers in eastern PA!